With growth comes growing pains and Subaru dealers may struggle to get your Subaru serviced in a timely manner. According to a report by Automotive News, because Subaru of America has been selling record numbers of Outbacks, Foresters and Crosstreks they may struggle with servicing your vehicle. Because Subaru of America has been growing so quickly over the past decade, their dealer network may not have the service department capacity to handle the increased volume as more customers need to service their newer Subaru vehicles. Subaru planned for the growth but is it enough? Subaru saw this issue coming and Subaru dealers in the U.S. have been receiving large incentives from parent company Subaru Corporation to expand and renovate their service-shop capacity in a program called Fixed Operations Expansion, or FOX. The program started in late 2013, and around two-thirds of its U.S. dealerships used the money to expand their service-shop capacity. Many dealers outgrew their facilities, and the expansion was vital to keep new Outback, Forester, Crosstrek, Impreza, WRX/STI, BRZ, and Legacy customers happy and coming back. But it still may not be enough because Subaru is introducing the new 2019 Ascent 3-Row family hauler. 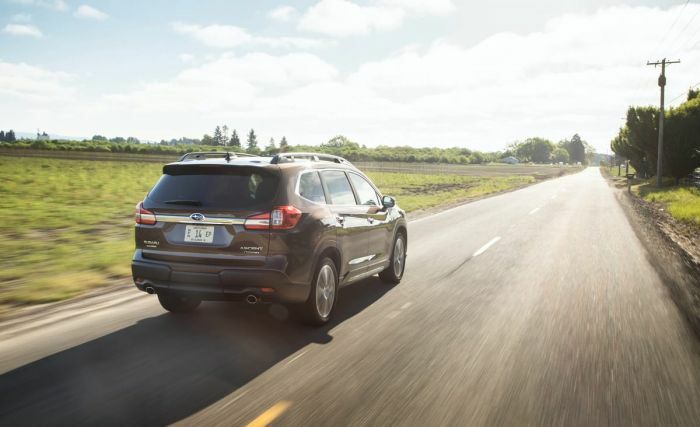 The 2019 Ascent arrives at showrooms this month and is expected to help fuel the brand's sales growth, even more, this year. The all-new fifth-generation Forester is also coming this fall and is expected to bring more new buyers to the brand. Subaru of America is looking for other options to develop new programs that will help their dealers expand their service departments. With the all-new 2019 Subaru Ascent arriving this month and redesigned 2019 Forester this fall, customers can expect longer waits to get their new vehicle serviced. I guess that's a good problem to have until it becomes a real problem as Tom states. I haven't had problems locally with service. The dealer I go to did construct a new maintenance and service facility to keep pace. Years ago in Sacramento the VW dealer kept his service department open until Ten pm and it worked well for people to get routing service/repairs done after work. Why don't dealers do that today. No additional investment for equipment would be required and the overhead could be spread over more transactions. They may need to pay a higher labor rate, but that might prove unnecessary with increased volume. Customers may not be required to wait six months to have recall work done (air bag).